The Official ranks among the unsuccessful machines of the early 20th century and is relatively unknown today. 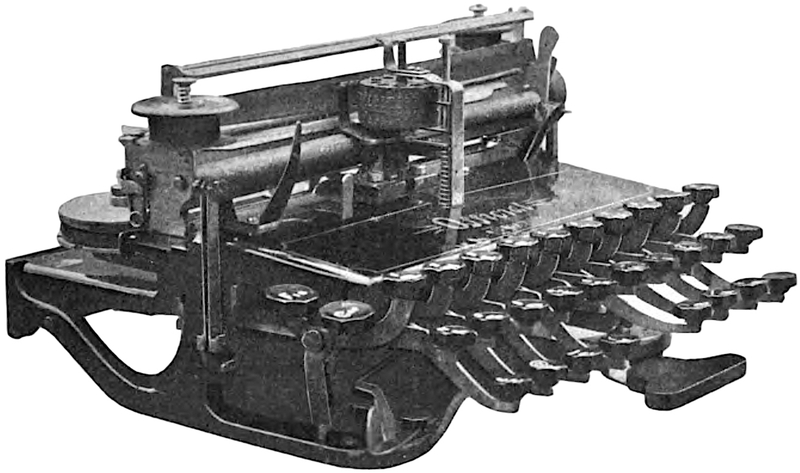 Designed by Charles E. Peterson (US 634,183), the Official was promoted by Richard Cox, who later worked with Charles Paulson on the Eagle/Sterling typewriters. 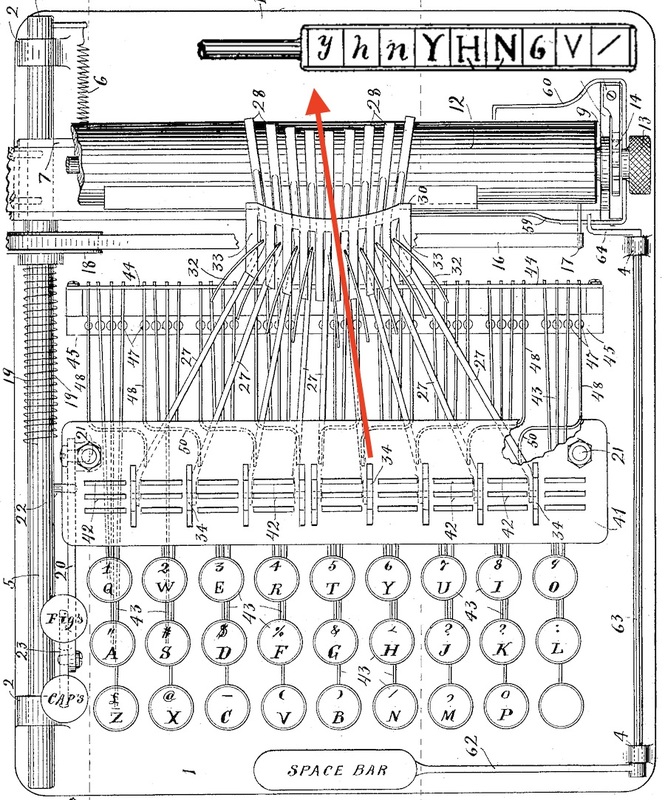 Similar in design to the Blickensderfer, the Official employed a type-wheel element, which may have been cross-compatible with the Blick’s (based on an examination of the photo above). The Official Typewriter Company was incorporated in 1900, by M. E. Harby, S. Brockheimer, F. R. Madeira, E. S. Sharp and H. E. Emerson, with capital stock of $1,000,000.1 According to Typewriter Topics, the company produced at least a small quantity of Officials, which were priced at $20. At $20, the Official was an inexpensive machine. Comparable Blickensderfer models sold from $40 to $50, and standard machines for upwards of $100. To sustain profitability, the Official was simply constructed, containing only 170 parts. Ultimately, few machines were ever produced (note: I have not located any collector who owns one). 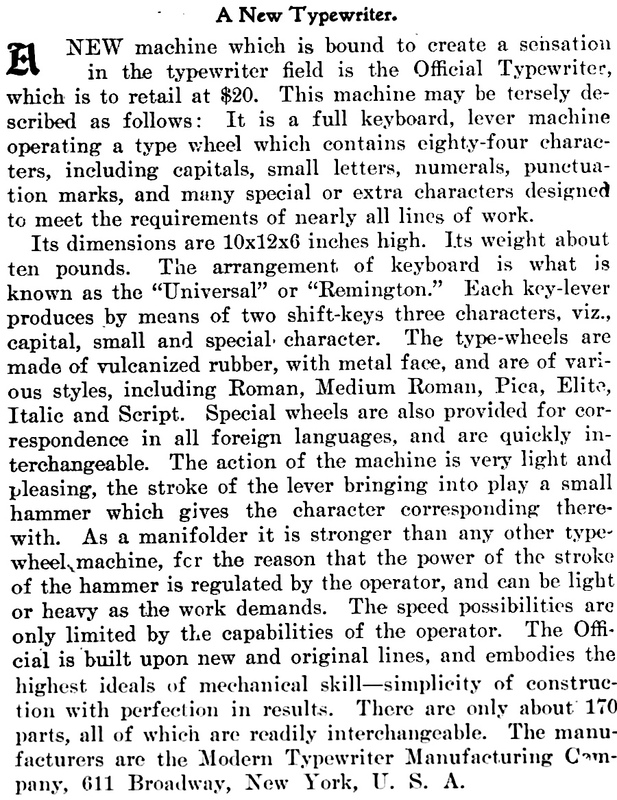 Later, Peterson designed a machine for the Mercantile Manufacturing Company. That any of these machines, apart from the Official, was manufactured is uncertain. Biographical data on Peterson is sparse, so it is unknown how he supported himself. I’d completely forgotten about this typewriter. What a great find it would be. Thanks! Have you ever seen a machine with nine characters on each typebar?